It is claimed Ms Donaldson had responsibility for funds and was provided with a credit card for buying items in connection with business and personal affairs only. She had to submit statements and receipts once a month to the accountants and also had access to a safe containing foreign money. But discrepancies were picked up in February last year on statements revealing a high volume of personal spending by Ms Donaldson. She had a meeting with an accountant to discuss use of the card and was suspended. Ms Rowling also claims Ms Donaldson, who controlled memorabilia requests from fans, used her position to steal a Harry Potter motorised Hogwarts Express worth £467.56, a Harry Potter Wizard Collection worth £2231.76 and a Harry Potter Tales of Beedle The Bard Set worth £395. Ms Rowling says the toys were taken without her “knowledge or consent”. It is alleged Ms Donaldson bought two cats worth £1,200 and withdrew £400 in cash for a deposit for a restaurant lunch but that Ms Rowling’s husband Neil Murray discovered no deposit had been paid. The author also claimed her former employee took £7,742-worth of foreign money from a safe. Ms Donaldson has denied the claims and said Ms Rowling had “not suffered any loss and is not entitled to damages” from her. 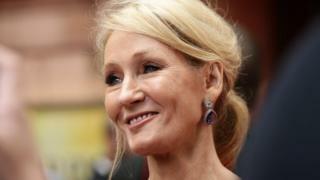 A spokeswoman for Ms Rowling said: “I can confirm JK Rowling has taken legal action against her former personal assistant, Amanda Donaldson, following her dismissal for gross misconduct involving a substantial breach of trust. Ms Donaldson was unavailable for comment. The case before Sheriff Derek O’Carroll is due back in court later this year.